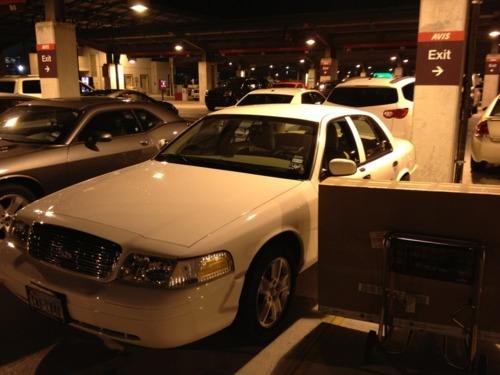 We got to SXSW and the only car left was a white Crown Victoria. Because Jon rides everywhere in taxis back home in NYC. We felt right at home. You will notice the huge box, that comes later. Driving in this beast down the road eating barbecue, wearing aviators, and looking out for breakfast tacos is the definition of great time. And also not related to Sonic Notify. 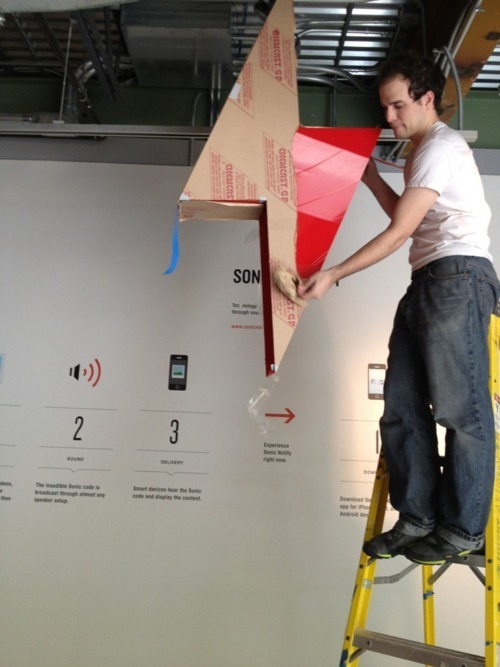 Jon and I setup the Sonic installation on Wednesday. 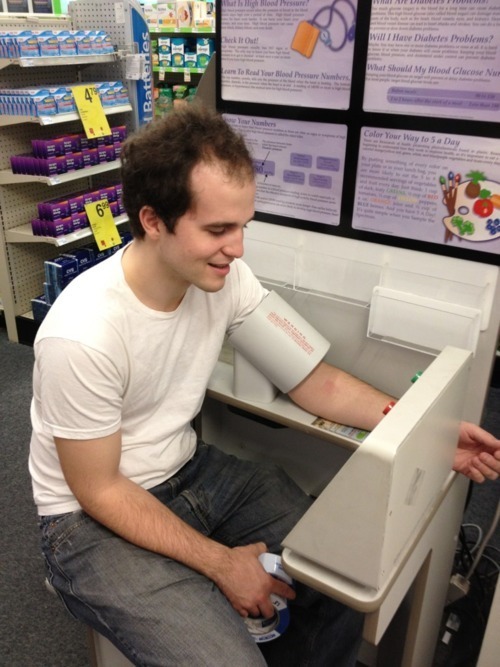 First came the blood pressure check, always a first step before manual labor. Then unwrapping the box, yep its a giant plexiglass sonic bolt. Complete with flashing lights (555 timer + AC Relay, Sonic Notify builds everything electrical) and speaker. The bolt has a Sonic Notify beacon inside. Step inside the red circle and you can receive a special url content. The content which you created and uploaded to a special feed site. Pretty cool. The whole display just looks amazing and it is all because of JOB and Margaret. 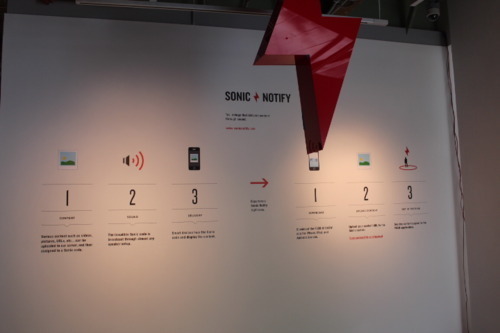 Also throughout the FEED building art displays all Sonic Notified with cool content. After a long night it was time to drive the Crown Vic back. Only to find out the best part of the night. The Crown Vics burnout ability. 3. Car doesnt move, just sits that roaring. Awesome.